Given that torque figures on American heavy-duty trucks have steadily crept upward over the past few years, it was only a matter of time before someone hit that big four-digit mark. Ram was the first to cross that threshold with its 2019 Ram HD unveiled at the 2019 Detroit auto show with 1,000 lb-ft of torque. 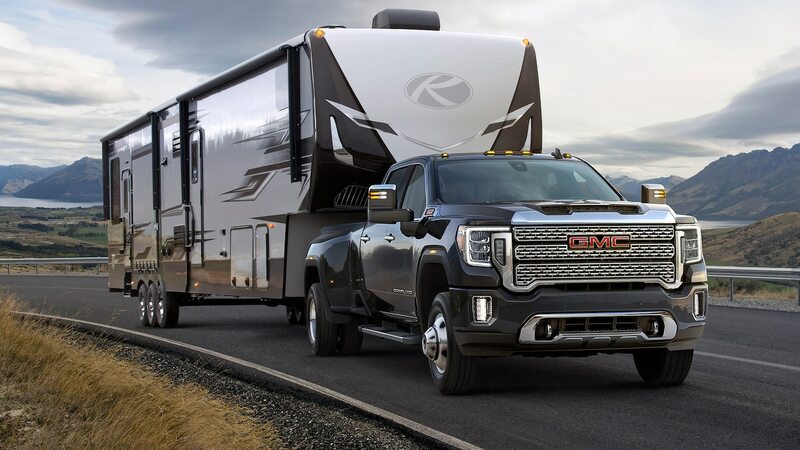 The 2020 GMC Sierra HD was also just revealed, and its top engine makes more horsepower but less torque than the Ram. However, it takes more than just torque numbers to win over heavy-duty truck buyers. 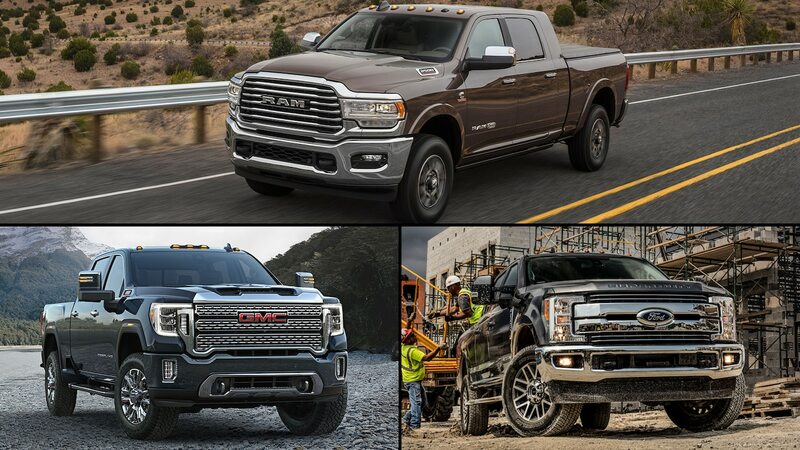 Below, we compare specs of Ram’s redesigned HD truck against the competition from GM and Ford. Let’s see what the numbers say. 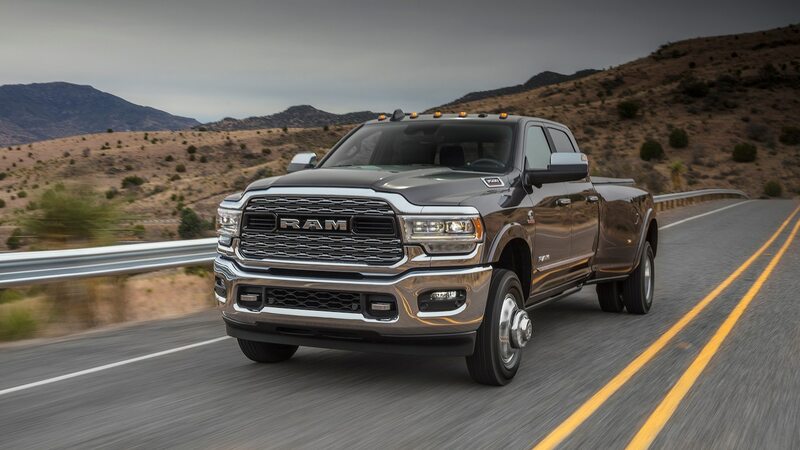 The 2019 Ram 3500 HD’s class-leading 1,000 lb-ft is specific to the high-output version, which also makes 400 hp and comes backed by a six-speed Aisin automatic transmission. 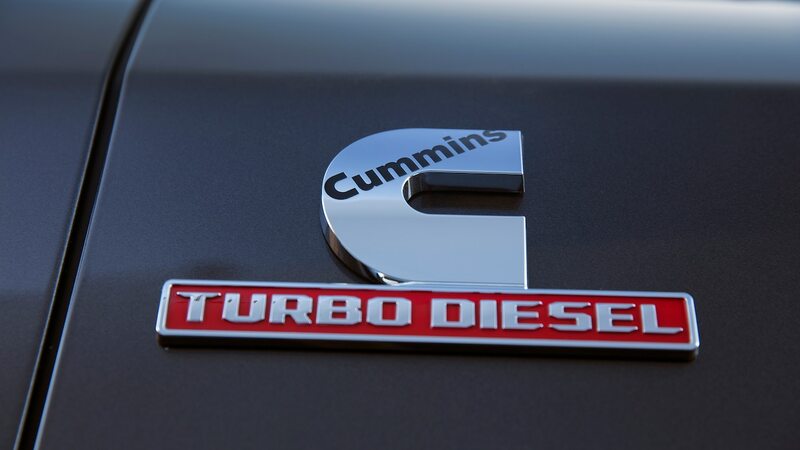 The standard version of Ram’s updated Cummins 6.7-liter turbodiesel I-6 pumps out 370 hp and 850 lb-ft. For 2020, GM’s Duramax 6.6-liter turbodiesel V-8 will continue to make 910 lb-ft but will use a new Allison 10-speed automatic. Although full specs haven’t been revealed yet, the Duramax in the 2020 Silverado HD will likely make the same 445 hp as the Sierra HD. 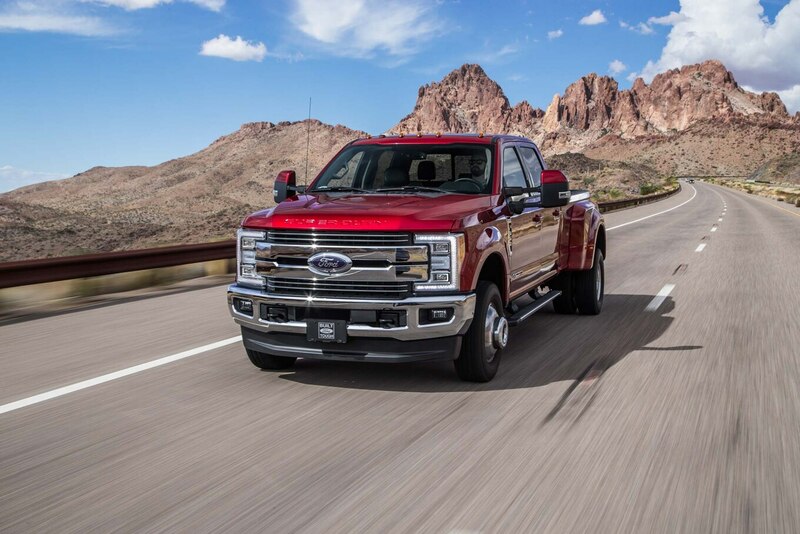 Ford will be refreshing its Super Duty lineup for 2020 and will probably increase power, but if not, the 6.7-liter Power Stroke turbodiesel V-8 will continue to churn out 450 hp and 935 lb-ft. The current TorqShift six-speed automatic is expected to be replaced by a 10-speed unit. If oil-burners aren’t for you, each automaker offers a gasoline option. The Ram’s 6.4-liter Hemi V-8 makes 410 hp and 429 lb-ft. GM will introduce an all-new gas engine, possibly a Navistar-sourced 6.6-liter V-8, which should eclipse the 360 hp and 380 lb-ft of the current 6.0-liter Vortec V-8. 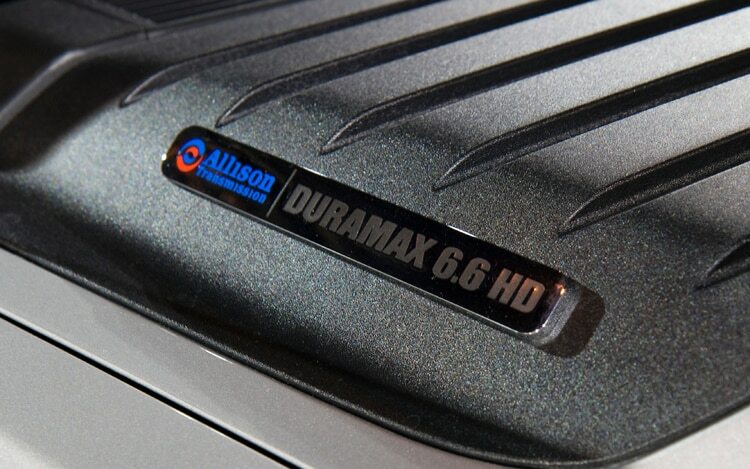 The Super Duty’s 6.2-liter V-8 produces 430 lb-ft, and horsepower is rated at 385. A power bump could happen if the engine is updated for 2020. The EPA doesn’t rate heavy-duty trucks for their fuel economy, but the size of the fuel tank will give you an idea of each truck’s driving range. The Ford Super Duty’s fuel tank capacity depends on the engine and configuration. 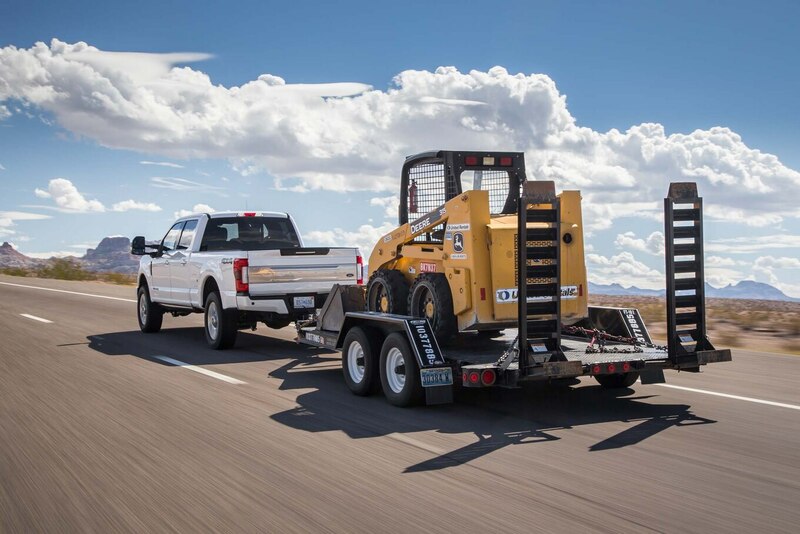 The Power Stroke’s tank ranges from 29 gallons in the shortest wheelbase to 34 gallons for the mid-wheelbase models and 48 gallons in the model with the longest wheelbase (crew cab with the long bed). The gas engine’s tank is either 34 gallons for the regular and super cabs or 48 gallons for the crew cab. 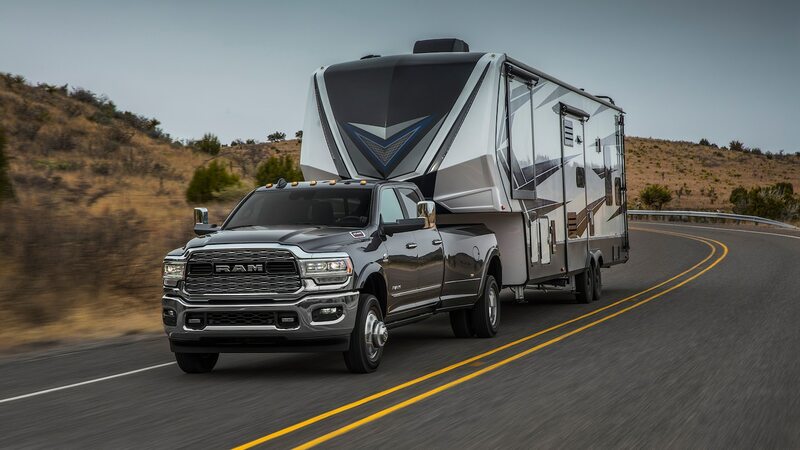 The 2019 Ram HD gets a 28-gallon tank standard in regular-cab diesel trim or a 31-gallon tank in crew-cab and Mega Cab configurations with the 6-foot, 4-inch bed. Regular-cab and crew-cab models with the 8-foot box get a 32-gallon tank standard. All of GM’s current HD trucks have a 36-gallon tank, regardless of engine and body configuration, though that could change for the 2020 models. Interestingly, those max payload numbers all apply to gas-engine variants (the heavier diesel engines lower each rating slightly). We know how much weight these trucks can haul in the bed, but how much stuff can you fit in them? The Ram HD’s standard bed is 76.3 inches long and can hold 57.5 cubic feet of cargo. The long bed measures 98.3 inches long and has a volume of 74.7 cubic feet. Both beds have 51 inches between wheelhouses. 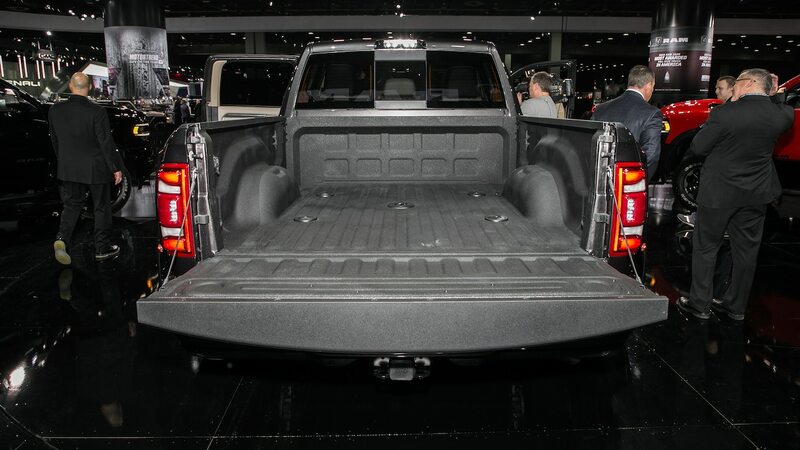 GM’s standard bed on the outgoing HD truck is 78.9 inches in length, and the cargo volume is 61 cubic feet. Long-bed length is 97.8 inches, and cargo volume is 76.3 cubic feet. Width between wheelhouses is also 51.0 inches. 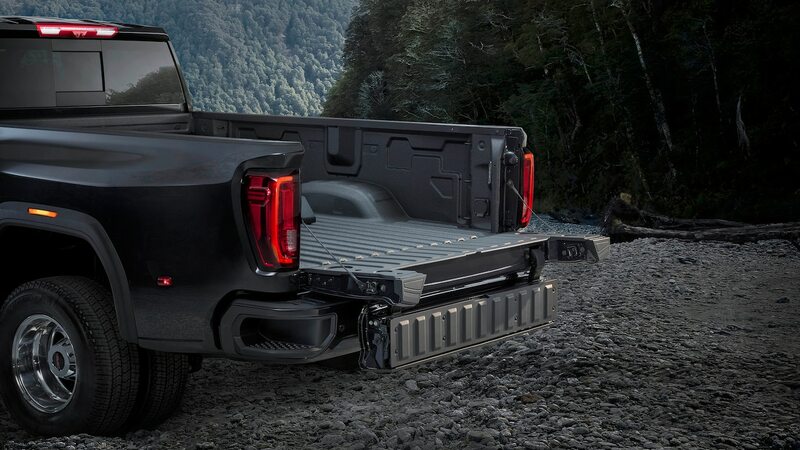 Bed dimensions for the 2020 models have not been released yet, but GMC promises “class-leading heavy-duty cargo bed volume” in the Sierra HD. 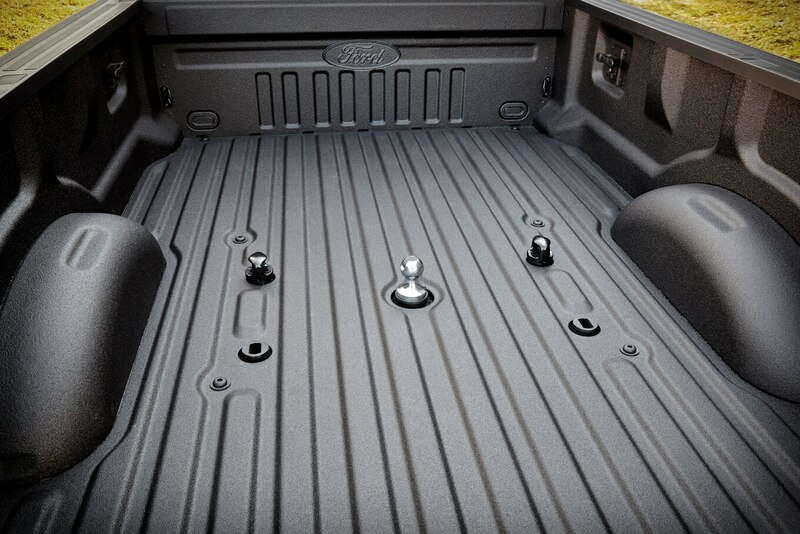 The Super Duty’s standard bed is the largest at 81.9 inches long with a cargo volume of 65.4 cubic feet. Its long bed is just shy of the Ram’s at 98.1 inches long, but cargo volume is the largest at 78.5 cubic feet. Both beds have 50.5 inches between wheelhouses. It’s almost impossible to say which HD lineup is the quickest with the various body, bed, axle ratio, and engine configurations offered. But to give you an idea, here are three that we tested. Our former long-term 2017 Ford F-250 King Ranch diesel 4×4 hit 60 mph in 7.1 seconds and completed the quarter mile in 15.5 seconds at 89 mph (143 km/h). The 2017 Chevrolet Silverado 2500 HD Z71 diesel 4×4 made it to 60 in 6.5 seconds, on its way to a quarter-mile time of 15 seconds at 91.8 mph (147.7 km/h). We didn’t get our hands on a 2500 diesel model, but the previous-gen 2016 Ram 3500 Limited diesel 4X4 clocked a 0–60 time of 8.6 seconds and ran the quarter mile in 16.6 seconds at 84.0 mph (135 km/h). 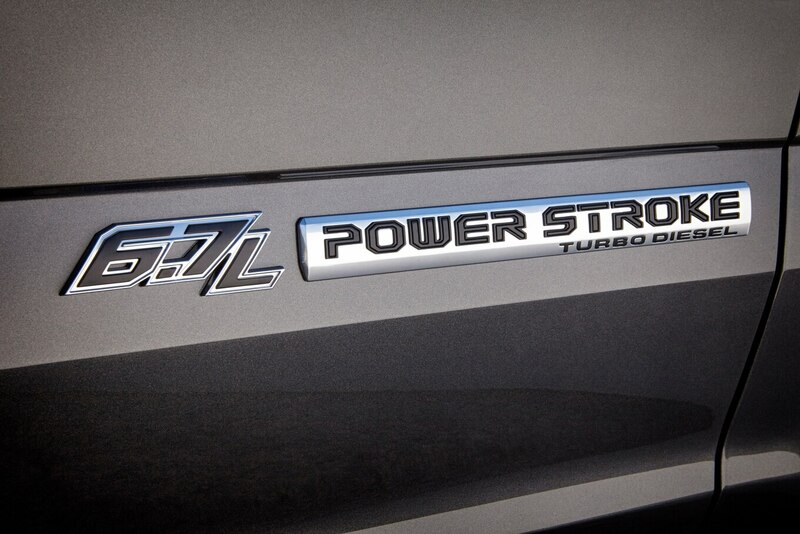 But expect the new Ram’s numbers to improve with the added power (our tester had 385 hp and 900 lb-ft).